CORUM TI-Bridge Platinum 3-Day Power Reserve NIB! 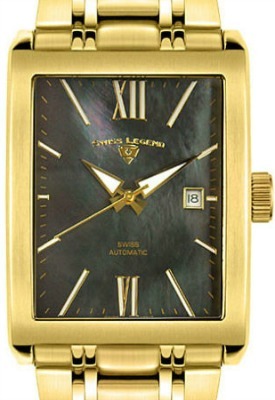 Swiss Legend Worldtimer & Many Other Models CHECK Ad for Drastic Price CLOSEOUTS!! This wristwatch is huge & Stainless! New store demo. 100 Meter, bracelet with double deployment, Quartz Swiss Movement, Sapphire Crystal, huge 45mm x 50mm with lugs. Have in Black-Ion plated with Black dial & SS Bezel, Stainless Steel with Black dial & SS with Silver dial which has the subsidiary second hand at 6 like the other models. Retail was huge...Sell for $300 or Trade! We also have several Commander Quartz Models available plus several dozen other Quartz Chronograph's & diver's. Please email for Free delivery pricing on these models... Challenger, Conqueror, Endurance, Evolution, Executive, Expedition, GMT Worldtimer, Heritate, Legato, Maverick, Monte Carlo, Neptune, Submersible, Scubador, SL Pilot, Throttle, Trimex, Traveller plus many others with 1 to 2 pieces. Swiss Legend Neptune 52mm Black Silicone Band Steel Case Automatic Date! Huge & 316SL Stainless, divers, new store demo. Sapphiritek Crystal, huge 52mm x 62mm with lugs weights 500 grams. Precise 21 jewels Swiss automatic movement, case has Black silicone cove & strap with logo, rotating Date window between 4:00 and 5:00, luminous; unidirectional bezel with Black ion-plated stainless steel with black top ring; screw-down Black ion-plated crown. Retail was huge...Sell for $250 or Trade! Swiss Legend SS Limousine HUGE With SS Bracelet! This SS wristwatch is huge with Black MOP exotic dial & date. 165 feet, bracelet with double deployment clasp, Swiss automatic 18 jewel movement, Sapphire Crystal, reversie display, 38mm x 52mm with lugs. Stock image in scan is plated... the actual watch is SS without plating. Sell for $425 or Trade! 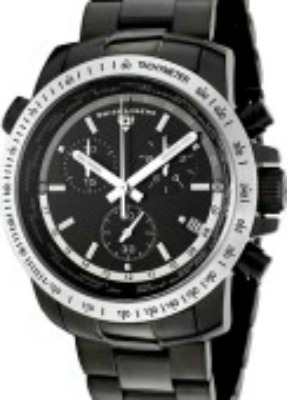 We also have several Quartz Models available plus several dozen other Quartz Chronograph's & diver's. Please email for Free delivery pricing on these models... Challenger, Commander, Conqueror, Endurance, Evolution, Executive, Expedition, GMT Worldtimer, Heritate, Legato, Maverick, Monte Carlo, Neptune, Submersible, Scubador, SL Pilot, Throttle, Trimex, Traveller plus many others with 1 to 2 pieces. EMAIL For Specific Model & Quantity Pricing... We have hundreds!!! We can trade for luxury wristwatches, complicated pocket watches, PCGS USA Coins, Precious metals (GOLD, PLATINUM, SILVER) or many other luxury items! Please contact us with your trades & offers for an extremely fair & complete valuation! Payment Details: USA Checks OK... Bank Transfers ONLY Worldwide! 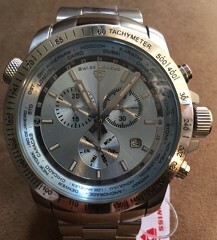 Luxury Watch Exchange | Auction Sell Buy FREE | will inform the seller of your intent to purchase this item. Copyright © 2019 - All Rights Reserved! LWE's web page cannot be reproduced without our prior written permission!